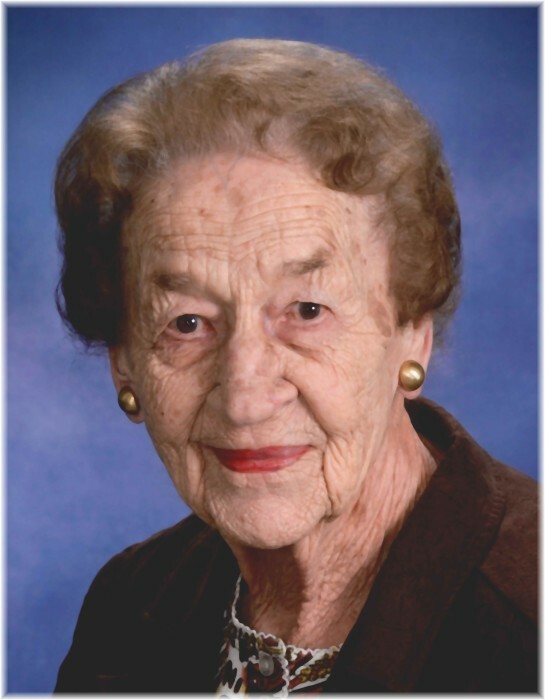 Ruth Ann Mason Beckett Roache, 102, of Parksley, VA, passed away surrounded by her family on Saturday, April 6, 2019, at Riverside Shore Memorial Hospital in Onancock, VA. She was the wife of the late William Louis Beckett, Jr. and William J. Roache, Jr.
Nana, as she was affectionately known to many, was born December 28, 1916, in the home she currently lived, to the late William Z. Mason and Eva Marshall Mason. She worked at Colonial Stores for over 30 years; was a member and a Past Worthy Matron of Parksley Chapter #166, O.E.S. ; and lifelong member of Grace United Methodist Church, joining at the age of 12. Throughout her long life, Ruth Ann/Nana brought a smile and was a bright light to all whenever they were in her company, and her family will always treasure her love, care and support shared with them. Survivors include her daughter, Terry Beckett Taylor of Parksley; three grandchildren, Leslie Taylor, Troy Taylor and Lauren, all of Onancock, VA, and Lisa Taylor Ballance and her husband, Curtis, of Parksley; eight great-grandchildren, Will and Russ Parks, Mason, Matthew, Karis and Axton Taylor, and Mallory and Reagan Ballance; four nieces, three nephews, and their families. In addition to her husbands and parents, she was predeceased by two sisters, Evelyn Mason Johnson and Marguerite Mason Young; and a brother, Wilfred Thomas Mason. A funeral service will be conducted from the Grace United Methodist Church on Tuesday, April 9, 2019 at 3:00 p.m., with The Reverend Alan Layman and Mr. George Fulk officiating. Interment will follow at the Parksley Cemetery. There will be a visitation at the Williams-Parksley Funeral Home on Monday, April 8, 2019, from 6:00 until 8:00 p.m. In lieu of flowers, memorial donations may be made to Grace United Methodist Church, P.O. Box 156, Parksley, VA 23421.